Are You Prepared for the Holiday Season? Abraham’s Shredding Can Help! At Abraham’s On-Site Shredding Service, we think organization and tidiness is imperative for a successful and stress-free holiday season. We know that around this time of year, schedules can be busy and hectic, which can make maintaining organization an added challenge. The good news is that by following some simple tips you can keep your home or home office in great shape over the holiday season. An easy and smart place to begin is by taking a brief inventory of the supplies you currently DO have. Do you have sufficient wrapping paper and tape? Do you have enough holiday décor and are the lights functioning as they should be? What is the status of your kitchen; how is the pantry looking? These are some things you should keep in mind to start as knowing what you have and what you need is important and will save stress and headache. Once you know exactly what supplies are required and the particular jobs that need finishing, it’s time to make a plan to ensure it all happens. Without a plan in place it is easy to get overwhelmed, forget tasks, and become stressed out which is never ideal. We all know that schedules are hectic and your “things-to-do” list can seem nearly impossible leading up to the holidays but a plan provides a vision and breaks items up into individual tasks which are easier to tackle than an enormous list all at once. With this approach in place, you are bound to notice a decrease in stress levels whether you are sending out greetings cards, going shopping for gifts or grocery shopping, or doing some holiday baking. Make a list; divide and conquer! Meal Planning; review the recipes you are considering using. Are you prepared and have all the necessary ingredients? Check expiry dates; chances are if you only bake those ginger cookies around Christmas time, your molasses may not be edible at this point. Be sure that your plan also addresses the necessary time that may be required to find supplies, replace expired ingredients and prepare the final product whether it is baked goods or a dinner dish. Holiday Shopping; this one isn’t the easiest always especially for those hard-to-buy-for people in your life! 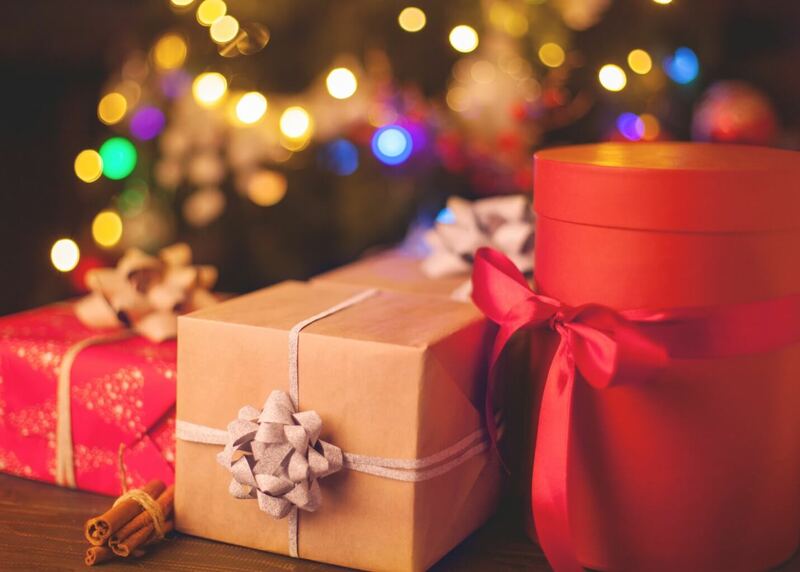 One tip you can benefit from is planning your shopping around a time where your family is busy, distracted or away so you don’t have to worry about sneaking gifts around the house. Not only that, wrapping can be slow and enjoyable and you won’t feel the need to rush through everything! Festive Decorating; you can’t have Christmas without at least SOME holiday décor! It simply doesn’t feel the same without it. Allow some time to get creative; you’ll want to keep your house or office feeling and looking festive so you can enjoy the holidays to the fullest! Setting up and decorating the tree, putting up the Christmas lights and stockings and watching some classic holiday movies while you’re at it, always makes for cherished family moments. Let’s face it; the holidays are usually a little hard on the wallet when you factor in holiday parties and gifts. With all of this spending comes a significant amount of receipts that are bound to start piling up fairly quickly. For your own records and for your general security, it is crucial that you hang on to these. Most importantly, never toss them away in the trash or recycling bin if you don’t think you’ll need them for future reference. These holiday receipts should always be properly shredded first for peace of mind. The last thing anyone needs during the holidays is a case of identity theft or fraud. We hope these suggestions will assist you and your family throughout the holiday season, bringing a sense of security and comfort so that you can get the most out of the holidays with your loved ones! From all of us here at Abraham’s On-Site Shredding Service, have a happy and safe holiday season!